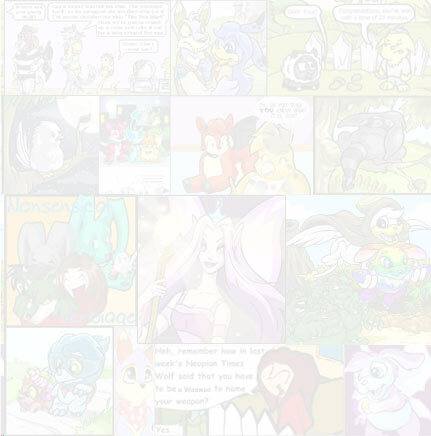 The Neopian Times Week 51 > Articles > Published... Now What? LENNY LIBRARY - So you finally had an idea for the perfect article or story, something that you just know everyone will love. You've even typed it up, edited it, shown it to your friends, and then nervously sent it off to the editors of Neopia's Finest News Source. Now it's all over, and the only thing you have to do is wait for Friday (or Monday, as the case often is), when you'll see your hard work published in the Times. Simple enough, right? Not exactly. First, you've got to endure the long, agonising wait until the Neopian Times is released. And believe me, time passes much more slowly when you're waiting. It might seem like demons are postponing the next issue, just to torture you with the suspense... And you could very well be right. But don't worry... this is perfectly normal paranoia, and it happens to everyone. But, unless Dr. Sloth rebuilds his disintegration ray yet again... The Times will come. And, since several articles have already been written on not being published, I'm going to assume for the purposes of this article that you were incredibly talented and lucky enough to see your work published. If this doesn't apply to you... perhaps you should read one of the many articles on how to become a better writer. You have Neomail! Unfortunately... it's just from someone asking how to get to so-and-so, or complaining because they disagree with something you might have unknowingly said. You're a little annoyed and rather disappointed, but you reply politely if a little coldly. 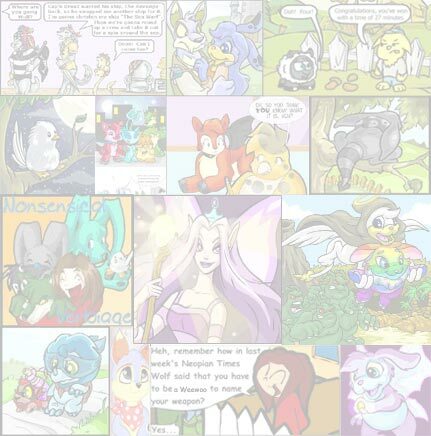 To test this theory, I decided to interview some of the published authors from my own guild, The Neopian Times Appreciation Guild, better known as NTAG. My question was: Do any of these scenarios apply to your own experiences with feedback? Sarakrindel: Both the first and third scenarios have happened to me, and I've also received a Neomail that fit into the second category. Scriptfox also related the type of reception that his work receives: somewhere between one and two. In his own words: "For each story I get in I can count on maybe half a dozen Neofriend requests (with no Neomail), and maybe two or three compliments... sometimes less, sometimes more- particularly if I do a popular article." He went on to point out that articles do generate more feedback and requests for help; "My most popular one for feedback was the one I did on NeoQuest back when it first came out. That one was good enough to generate NeoQuest help pleas for two or three months." However, despite the sometimes meager amount of feedback, he continues to write, as do many of the oft-published authors of the Times. Two people's experiences seemed like insufficient evidence; so I headed over to the chat boards, where pvk4444 was happy to share her own experience. She said that she's received many Neofriend requests, and a lot of mail, mostly criticism. While she found this frustrating, she didn't give up, and went on to be published a second time. I was finding it almost as hard to get people to talk to me as to gather opinions that were in agreement, and so decided that three other stories (plus my personal experiences) had better be enough. And yet... everyone seemed to have a different point of view! But when I tried to organise, the information began to make sense. Scriptfox seems representative of the many-times published elite group of authors. If people recognise the name of an author whose work they enjoy, they may be more likely to read the work in the first place. And, since more people would be reading, it seems logical that, overall, people in this category would receive more mail. Sarakrindel's experience seemed similar to my own; a wide variety of responses, based on the individual piece in question. While this sort of feedback can be confusing, it may also provide clues as to what topics the Neopian public finds most interesting. However, an enthusiastic response to a first piece can sometimes be misleading, especially if later works receive less acclaim. If this sort of incident has happened to you, don't be discouraged; it doesn't mean that you should give up. Everything, including writing for the Times, has its ups and downs. Those who have been published only once or twice may find, like pvk, that they do not receive large amounts of fan mail. This, too, may be discouraging, especially if you try to compare yourself to one of the most popular authors. Don't judge yourself by others, but by your own standards; if you've done your best, you have every right to be pleased with your work. It's impossible to please everyone, so write something that you yourself are happy with; chances are, other people will like it, too. And always remember to try again, and see what the next issue of the Times brings! In short, it seems that before writing for the Neopian Times, you should make sure you're ready for anything. Because, with such varied responses as authors typically receive... you're just likely to be flooded with Neomail, but there's an equal chance that you'll be completely ignored. So am I trying to discourage you? Not at all! I'm sure that the satisfaction of knowing that you're good enough to be published (and that really cool trophy for your user lookup) will make up for whatever happens. And if not... now you know what to expect. Special thanks to those at NTAG, who provided me with the idea for this article, and to the users who graciously allowed me to question them!